MyMemories > Categories > Albums to Remember Design Challenges > November 2016 Challenge - Create a page with Albums to Remember kit for a chance to win! Create a page using one of the kits from my store (blog freebies don't count). I will randomly draw one person to win any product from my store they want with a maximum $6 value. Post away! 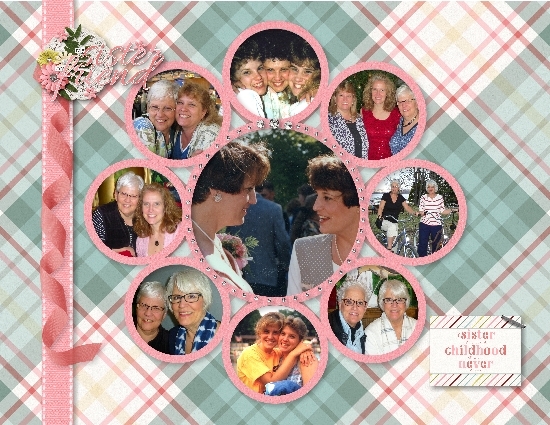 This is using Albums to Remember Sister Bundle (http://tinyurl.com/jmfrk7p) as well as her template (http://tinyurl.com/zfxymno) . Looks wonderful, love how you adjusted it to make it work in an 11x8 layout.